If your searching for "tire repair" in Arlington MA or tire repair near me then look no further. The mechanics at Eli's Service Station are trained in tire repair for damaged tires from punctures. slow leaks, leaky valves. Contact Eli's for quick tire repair at (781) 648-9833. Our mechanics will examine your tire damage to either repair or make recommendations that may be safer. Improve the life of your vehicle tires with proper maintenance. Prevent premature tire wear from over inflating or under inflating of tires. 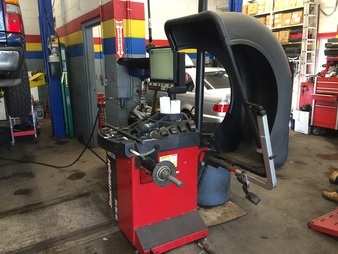 Proper wheel alignment, tire balancing and maintained suspension systems will prevent premature tire wear. Eli's Service is your auto repair, tire and service co.